Lead Time:1-2 weeks standard (3-4 weeks with surface mount plates). When you enter the dog park, you may be carrying jackets, bags, dog treats, water bottles, ball throwers and more. Our parking post allows you a hands-free moment to get organized before setting your dog free for some fun. The Poodle Parking Post is also a welcome amenity for pet friendly communities and businesses. Consider placing one outside of a management office or storefront so your residents and customers can quickly secure their pet. Also available in our more playful red and yellow color combination (#6902). 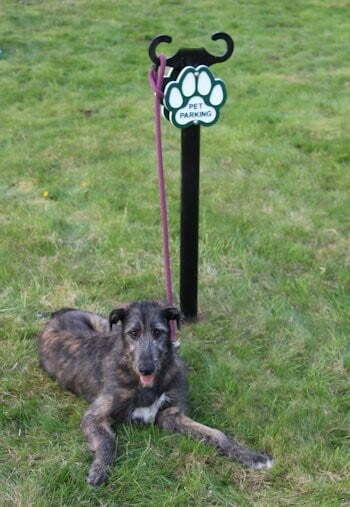 Constructed from a 10-gauge aluminum with two leash hooks welded directly to the post. 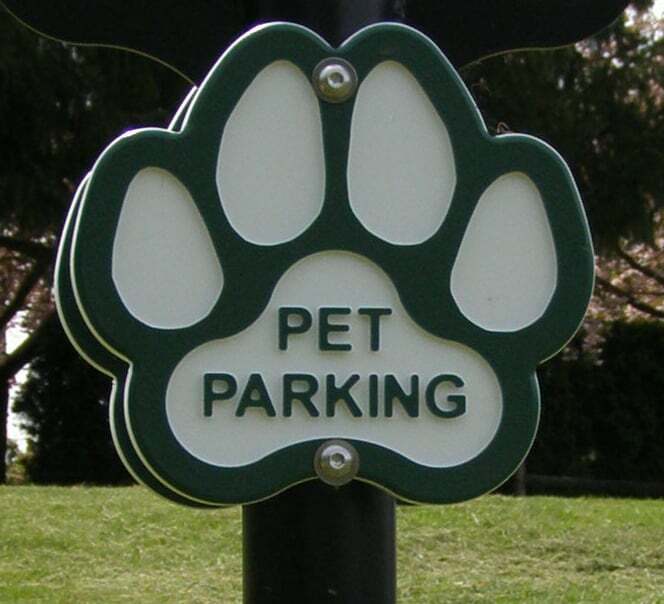 The “Pet Parking” sign is precision-machined from multicolored solid polyethylene and bolted to the post with stainless steel hardware.